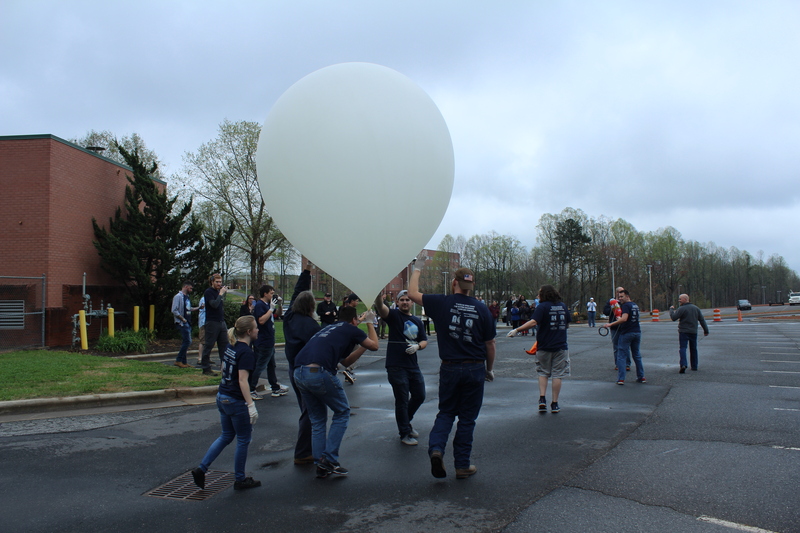 In 2014, North Carolina Space Grant developed and implemented a High Altitude Ballooning Competition for community college teams. This program was a huge success and several colleges now have ballooning design incorporated into their STEM curriculum (one team has even gone on to participate in advanced ballooning national activities). Over the course of the 2018-2019 academic year, teams will incorporate the NASA design cycle to design, build, test and fly a scientific experiment onboard a high altitude balloon payload. Student teams will gather monthly for telecom sessions to be used as a forum to monitor progress and ask questions. At the end of the academic year, teams that complete critical design and build phases will launch their payloads at a balloon launch and retrieval team competition. Here is a video from the student point-of-view about why you should participate. Team have already been selected for the 2018 – 2019 Academic Year. Participating teams will include: Catawba Valley Community College, Durham Tech Community College, Edgecombe Community College, Nash Community College, Pitt Community College, Rowan-Cabarrus Community College and Wake Tech Community College.